We hear a lot about drone deliveries these days, but most services are merely trial operations to test the technology. 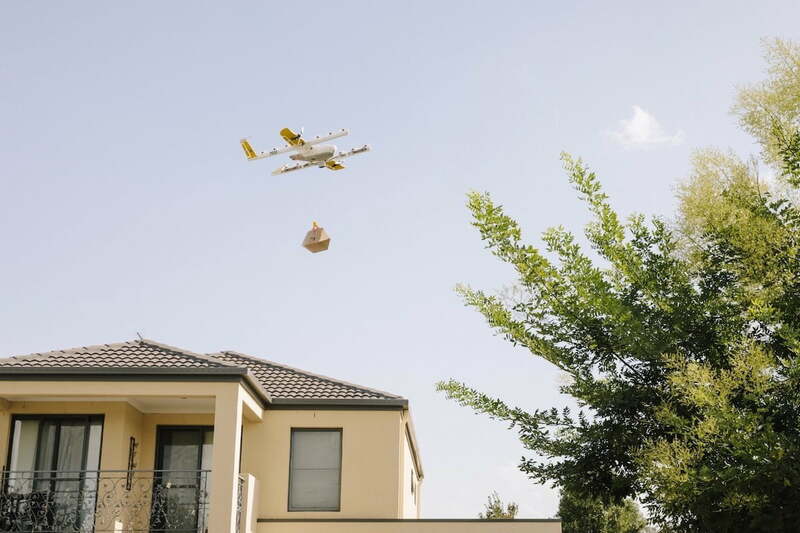 In North Canberra, Australia, however, residents now have access to a full-fledged drone delivery service after regulators there gave it the green light. Operated by Wing — a startup that’s part of Google-parent Alphabet — the official launch follows an 18-month trial period that involved 3,000 deliveries. The drone delivery service will begin with around 100 homes in several neighborhoods. Customers can order a range of items from different businesses via a smartphone app, including fresh food, drinks from nearby coffee shops, and over-the-counter medicines. Within minutes of hitting the “buy” button, one of Wing’s delivery drones will appear above the customer’s home and hover in the sky as it lowers the order into their yard via a tether. “Whether you’re a parent with a sick child at home and have run out of baby paracetamol, a busy professional who forgot to pick up fresh bread during your regular weekly shop, or you simply just want to order your morning flat white without the hassle of having to drive to the cafe, Wing has teamed up with local Canberra businesses to give customers the opportunity to have a range of goods delivered in a handful of minutes,” Wing wrote in a post announcing the official launch of the drone delivery service. Wing has been developing its drone technology in Australia since 2014, with test deliveries starting in North Canberra in 2017. The company’s drone delivery service recently received approval from the Australian government’s Civil Aviation Safety Authority, though the permit comes with several restrictions. For example, the drones must steer clear of major roads and stay at least five meters above, and two meters to the side, of people when it flies closer to the ground to drop off an order, according to the Guardian. In a bid to get residents on its side, Wing is hosting a number of community information stalls and delivery demonstrations over the next few weeks to show precisely how the technology works and the benefits that the service offers. Wing is also making plans to take its delivery drone to Helsinki, Finland this year, where it will test its equipment in the kind of challenging winter conditions that don’t exist in Australia.